Confused by Snapchat? This app update is designed to simplify snapping. Snapchat is confusing to use. That’s part of what makes it fun, because it’s sort of like knowing a secret language not everyone can understand. But it can also be annoying, like when you’re looking for something specific and don’t want to tap or swipe a million times to find it. So Snapchat’s latest update, rolling out soon to both iOS and Android users, adds a universal search bar you can access from anywhere in the app. 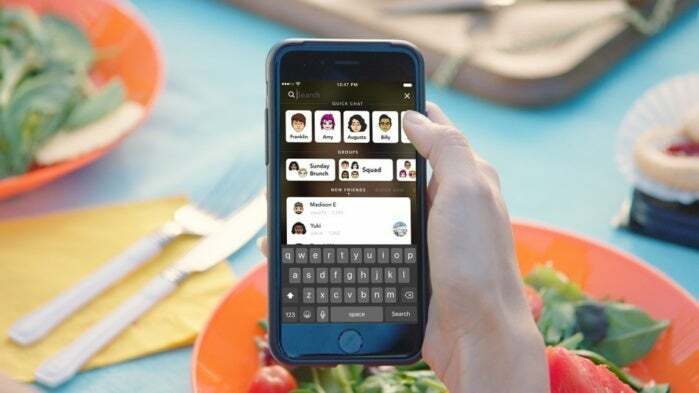 Finding stuff in Snapchat just got waaaay easier. The search bar is pinned to the top of the app, so you can easily swipe between your camera, a chat thread, or Stories and still search. Tapping on the bar reveals a slew of shortcuts. You can quickly jump into a chat with friends or groups you message the most and see newly added contacts. Typing a name in the search bar will turn up results for your friends or usernames you might want to add. Tapping on a name will bring up a new chat window with that person, while a long press on the name will turn up the person’s profile. The universal search bar also makes it easier to find people, jump into ongoing message threads, or find specific Discover channels. 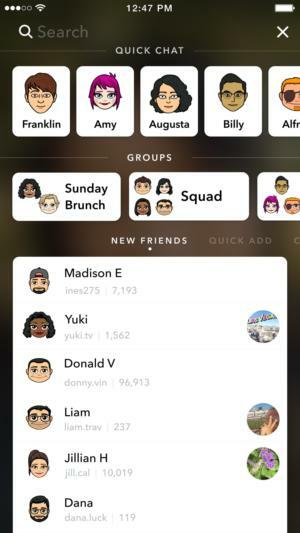 According to TechCrunch, you can also submit posts to the Snapchat-curated Our Story at any time, and you won’t even need to select a specific event or location to add it to. The app will automatically add your post to the appropriate Story. The update is designed to make Snapchat a faster, more streamlined experience. The app has a lot going on, and a central search bar will make it less confusing. That’s key, especially as Snapchat creator Snap Inc. prepares to go public and convince Wall Street that it has as much staying power as Facebook.